Germany-based Wacker Chemie, a leading chemical company, reported that its sales reached €4.92 billion ($6.069 billion) in 2017, up 6 per cent year-over-year compared to sales of €4.63 billion ($5.71 billion) recorded in 2016. The rise was mainly due to higher volumes in chemicals and in polysilicon. As a result, the company more than compensated both for negative currency effects due to the euro’s strength against the US dollar and for prices that, on balance, were somewhat lower, said a statement. EBITDA (earnings before interest, taxes, depreciation and amortization) totalled €1,014.1 million ($1.25 billion) in 2017, compared to €955.5 million ($1.17 billion) in 2016, it said. That was a year-over-year increase of 6 per cent and yielded an EBITDA margin of 20.6 per cent (2016: 20.6 per cent). This growth was mainly prompted by higher sales, by a very good operating performance, and by income of €40.0 million ($49.34 million) from the company’s stake in Siltronic. On the other hand, raw-material costs were higher year over year and dampened earnings. Group EBIT (earnings before interest and taxes) rose strongly last year, up 26 per cent to €423.7 million ($522.6 million) in comparison to €337.5 million ($416.3 million) in 2016. This corresponds to an EBIT margin of 8.6 per cent (2016: 7.3 percent). Lower depreciation year over year had a positive influence on EBIT and amounted to €590.4 million ($728.3 million) in 2017, against figures of €618.0 million ($762.4 million) in 2016, it added. Income from continuing operations climbed 40 per cent in 2017 to €250.1 million ($308.5 million), compared to €178.1 million ($219.7 million) in 2016. The group’s net income for the year was €884.8 million ($1.09 billion), against figures of €189.3 million ($233.6 million) in 2016. It included €634.7 million ($783.06 million) in income from discontinued operations from Q1 2017. This amount comprised both the gain associated with the deconsolidation of Siltronic AG as a Wacker Group segment and Siltronic’s net income in the first quarter of 2017. In 2018, Wacker intends to continue the good performance of last year, despite strong currency headwinds. Currency effects and amendments to accounting standards are expected to reduce sales by an amount in the low-triple-digit millions. Nonetheless, the company aims to lift its full-year sales by a low-single-digit percentage. Group EBITDA is projected to rise by a mid-single-digit percentage compared with 2017. As for net income from continuing operations, Wacker expects a marked increase. During the first two months of the current year, the company’s chemical business performed well. Over this period, total chemical-division sales were clearly above the prior-year figure. On the other hand, polysilicon sales for the first two months were noticeably lower than a year ago because less material was available for sale as a result of the production shutdown at Charleston. For Q1 2018, Wacker expects total group sales to be on par with last year (Q1 2017: €1.22 billion ($1.50 billion)). Group EBITDA in Q1 2018 is likely to be substantially higher than a year ago because earnings are supported by better prices for silicone products, by high plant utilisation, and by increased income from the stake in Siltronic AG. The annual report was presented at Wacker’s Annual Press Conference at its Munich headquarters. The press conference was attended by 35 media representatives from the Middle East (including Gulf Construction magazine), the Americas, EU, China and India. “In our polysilicon business, we currently lack Charleston’s output, but, in all likelihood, we can begin ramping up our facilities there in a few weeks’ time. All in all, group sales will not grow as dynamically this year as in 2017, but we expect earnings to rise markedly,” he said. In 2017, the group’s capital expenditures amounted to €326.8 million ($403.2 million) in comparison to €338.1 million ($417.2 million) in 2016. That was 3 per cent less than the year before. 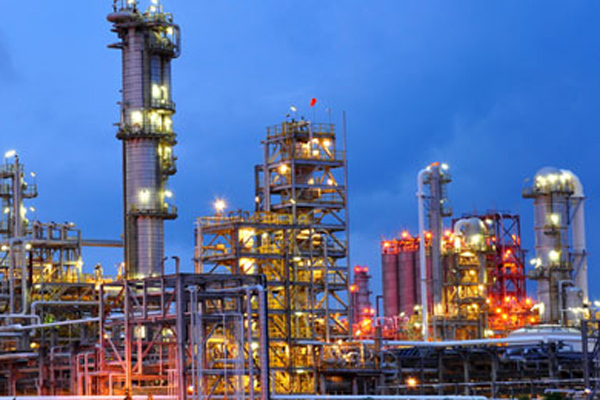 An investment priority last year was capacity expansion at Wacker’s three chemical divisions. At the Jincheon site in South Korea, new facilities were built for manufacturing silicone sealants and specialty silicones. These products are used in the construction, electronics and automotive industries. In Burghausen, Germany, a new dispersion reactor expanded Wacker’s polymer operations there. It went on stream in Q4 and has an annual capacity of 60,000 metric tonnes. In 2017, the company launched a number of other investment projects. They include new plants for dispersions and dispersible polymer powders at the Ulsan site (South Korea), construction of a new production facility for pyrogenic silica in Charleston (US) and silicon-metal capacity expansion at Holla (Norway). At Léon (Spain), Wacker is modernising a large-scale fermentation plant acquired in 2016. Bio-engineered cystine for the food and pharmaceutical industries is to be produced there.